The TP-Link AC3200 is an early adopter of the Broadcom’s XStream technology, which means that we’re dealing with a 3×3 tri-band router (as opposed to the more recent AC5300 class of tri-band devices) and it’s quite clear that this is TP-Link’s response to the Linksys EA9200 and ASUS RT-AC3200. 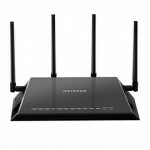 Of course, the Chinese manufacturer is as popular as ever and it has managed to maintain its status as a main competitor to the likes of Asus, Netgear, Linksys and D-Link, but, similarly to the aforementioned companies, is playing a numbers game, going up to AD7200 (Talon AD7200), thus confusing a lot of people about the real-life performance and actual use. The AC3200 class is not much different, although a bit more justified than the others, since the second 5GHz radio will add another 1,300Mbps to the AC1900. 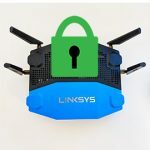 This means that you won’t get better link-rates, but, it will increase the total throughput of the 5GHz devices and allows you to connect a lot more wireless clients to the network. That being said, it does seem that the AC3200 class routers aim to replace the AC1900 class, so let’s see if the Archer C3200 is a reliable substitute to your older AC1900 router, both in terms of performance and price. 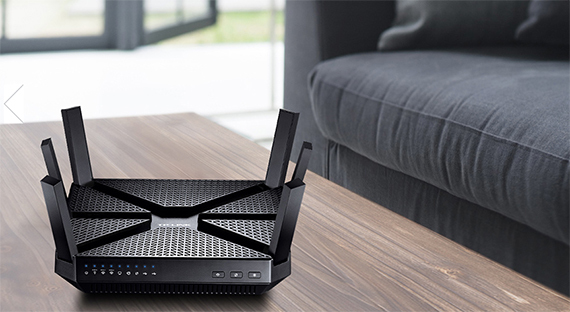 One thing you’ll notice is that while routers feature a higher maximum throughput and have more of the latest technologies implemented, they also get more unorthodox and weird-looking designs. The Archer C3200 is guilty of this approach with its black squarish case made of plastic, lacking any rounded corners, with lots of cut-outs all over the top part and covered by a black matte finish (it gave up on the glossy design of the previous routers from the Archer C series). 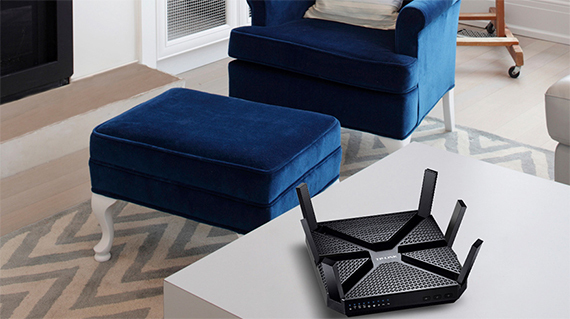 The Archer C3200 has six antennas that fold over the top inside some longitudinal carved-in zones to keep a certain surface continuity, that only breaks towards the centre to reveal a recessed X shape with the TP-Link logo. Unfortunately, the antennas are not removable and therefore, non upgradeable (3 dual band and 3 single band). Furthermore, I’m not really a fan of too many antennas all around the case, but since you can’t really put all of them on the back (or can you?) and they are small enough, it won’t cause any major inconvenience (yes, I’m looking at you, Afoundry). Besides the top cut-outs that greatly improve the airflow inside the case, the Archer C3200 also has longitudinal vents on all four lateral sides and a huge amount of small triangle-shaped holes on the bottom. This is clearly one of the better ventilated cases I saw on a router (and it needs a good airflow since a tri-band router will tend to become hot and as with almost all consumer-type devices, you can’t expect a built-in fan to cool down the case, as the C3200 relies on passive cooling, which in turn, makes the device run quieter). Also on the bottom, there are four small rubber feet to keep the case from budging, two holes for wall-mounting and a label that shows some info about the router (such as the default address, username and password and the three default SSIDs). 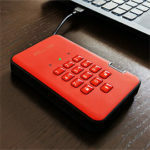 The case feels sturdy and made of high quality materials, so it won’t really move even if you connect all the ports. 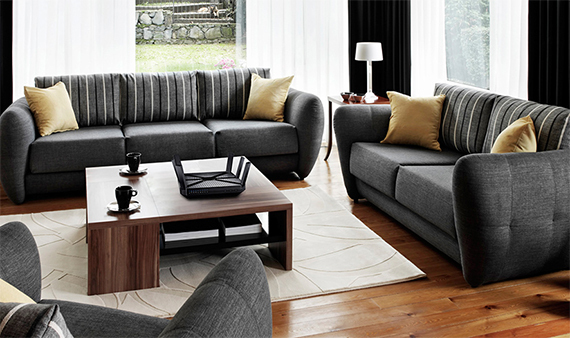 By default, the Archer C3200 can be positioned horizontally on a flat surface, but, if you value your space, you can always wall-mount it using the two holes on the bottom (there’s no kit or screws available inside the package). 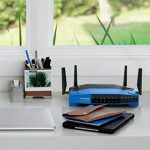 Since it’s not a really big devices (it measures 7.9 x 7.9 x 1.5 inches), you could get away with hiding the router basically anywhere in the living-room (what’s interesting is that I doubt TP-Link intended for you to hide the device in a corner, but the end result shows a router that wants to look like a post-modern piece of art, especially because of the rectangular-shaped antennas, but I don’t really feel that it has achieved its goal, since it looks more like a rugged spaceship than an aesthetically pleasing art object). On the front of the device, there is a series of blue LEDs, which show the status of Power (if it’s flashing, it indicates that the firmware is upgrading or that the system is initializing), Wireless 2.4GHz radio, Wireless 5GHz-1 radio, Wireless 5GHz-2 radio, Ethernet (one LED for all the four Ethernet LAN ports), Internet (blue signifies that the port is connected and the Internet is accessible, while orange shows that the Internet is inaccessible and that the port is connected), WPS, USB 1 and USB 2 and on the right, there are three buttons for WiFi (press the button for 2 seconds to either enable or disable the WiFi), WPS (allows you connect wireless devices to the network using the WPS process) and LED On/Off (a good addition if you don’t like the LED light to flash in your eyes during the night). 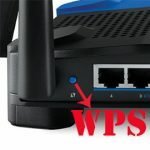 On the rear side of the router, you can find a series of ports and buttons: from the left, there is a recessed Reset button (press it for 7 seconds to reset the device to factory default settings), a USB 2.0 port (useful for a printer), a 10/100/1000Mbps Internet port, four 10/100/1000Mbps Ethernet LAN ports, a USB 3.0, the Power On/Off button and the Power connector. 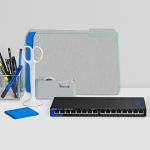 Note: Inside the package, you can find the AC3200 Wireless Tri-Band Gigabit Router Archer C3200 unit, a power supply unit, an Ethernet cable and a Quick Installation Guide. 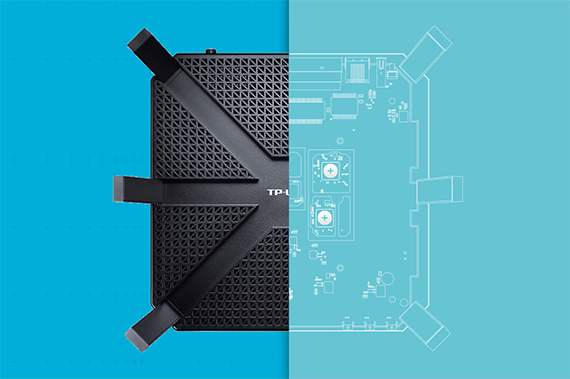 Inside the case, the TP-Link AC3200 is equipped with a dual-core Broadcom BCM4709A0 CPU (clocked at 1GHz), 128 MB of flash memory, 256 MB of RAM and and a PLX ExpressLane™ PEX 8603 PCIe switch (useful for the third radio). Furthermore, the 2.4GHz radio uses a Broadcom BCM43602 b/g/n 3×3:3 chipset, along with a Skyworks SE2623L 2.4 GHz power amplifier, while the first 5GHz radio uses a Broadcom BCM43602 chipset, along with a Skyworks SKY85710-11 5GHz WLAN Front-End Module and lastly, the second 5GHz radio also uses a Broadcom BCM43602 chipset, along with a Skyworks SE5003L 5GHz power amplifier. The Archer C3200 features a maximum theoretical data transfer rate of 600 Mbps if you use the 2.4GHz radio band, while each of the 5GHz radios have a maximum theoretical data transfer rate of 1,300 Mbps (adds to the advertised 3,200 Mbps). The main selling point of the TP-Link AC3200 is, of course, the implementation of the Broadcom’s XStream technology, which makes the device a tri-band router. As said before, this translates into an additional 5GHz radio which will allow for more devices to be connected and a better network management, but not a higher link rate. As opposed to the tri-band approach, Qualcomm has developed the MU-MIMO technology, which promises a better wireless performance for the connected devices, by serving multiple clients at the same time (the old fashion way is to serve one client at a time). 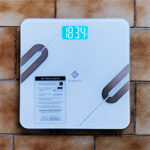 As expected, the MU-MIMO routers also like to put inflated numbers on the box to attract the attention of a larger portion of people. The problem is that, similarly to the tri-band routers, you won’t see any difference between an AC2600 MU-MIMO router and an AC1900 one if you don’t have the compatible equipment (the MU-MIMO tech is slowly being implemented into some new smartphones, but it is still a very slow process and the market doesn’t keep up with the fast developments from the networking world). The Qualcomm vs Broadcom rivalry has given birth to some really awesome devices, each with its own advantages and disadvantages (the TP-Link AC3200 being one of many), but I feel that a tri-band router can be used now with a large array of already present devices (although, you’d be amazed by how slow is the ongoing transition to the 5GHz adapters), while the MU-MIMO needs to wait more until compatible wireless adapters will be a common occurrence. In order to take advantage of the three radios, TP-Link implemented the Smart Connect feature, which has the role of balancing the load between the radios, so, as soon as you connect a new device to the network, the Smart Connect will automatically assign it to the best (and less crowded) channel. Of course, all connected devices are continuously monitored so, if a device would benefit more if it were on another band, it gets automatically reassigned. This way, you get a better overall network performance, but, in order to use this function, you will have a single SSID with a single password. 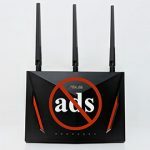 I have seen the Smart Connect feature in action with the Asus AC3200, but because Asus gave users too much control, it backfired (the function became too aggressive and users experienced frequent connects and disconnects). 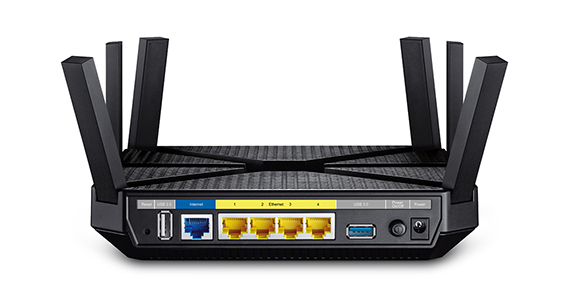 What’s interesting is that all other AC3200 tri-band routers only allow you to either enable or disable the Smart Connect, therefore TP-Link has anticipated the problems that Asus has faced. 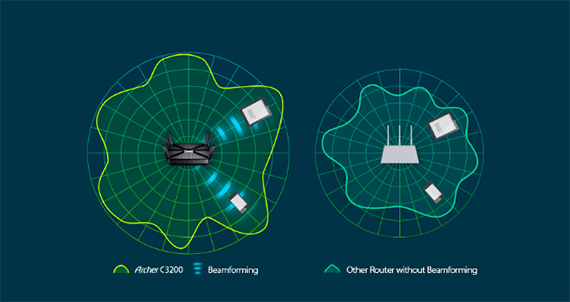 Another feature worth mentioning is the Beamforming technology which has the role of scanning for any connected wireless devices and focus the signal directly at them instead of broadcasting it everywhere and hope that it will reach your clients. In order to test the potential of the TP-Link AC3200, I used a 3×3 laptop (MacBook Pro) and a desktop PC with a compatible 3×3 wireless adapter and noted the wireless performance depending on the home location, while keeping interferences to a minimum (the Smart Connect feature is disabled and each radio had its own SSID and password). So, using the 2.4GHz radio and, implicitly the 802.11n standard, I measured an average of 121 Mbps at close range (no more than 5 feet) and, after increasing the distance between the devices to 15 feet, I measured an average of 102 Mbps. After increasing the distance further to about 35 feet, I measured 63 Mbps. Unfortunately, the TP-Link AC3200 seems to be the slowest among the other tri-band routers that I have tested (such as the Asus AC3200 and D-Link DIR-890L/R) using the 2.4Ghz radio. Afterwards, I switched to the first 5GHz radio band (802.11ac standard) and at close range, I measured an average of 315 Mbps. After increasing the distance to 15 feet, the speed decreased to 263 Mbps and at 35 feet, I measured an average of 134 Mbps. The second 5GHz radio did a lot better, reaching 468 Mbps at close range (no more than 5 feet) and going down to 393 Mbps at 15 feet. Lastly, at 35 feet, I measured an average of 244 Mbps. Since the TP-Link AC3200 has a USB 3.0 port, it’s only natural to test the router’s storage performance. So, I used a 2.0GB folder containing miscellaneous files (videos, photos, books) and measured a sustained 26.5MBps writing speed and a 41.3MBps reading speed. 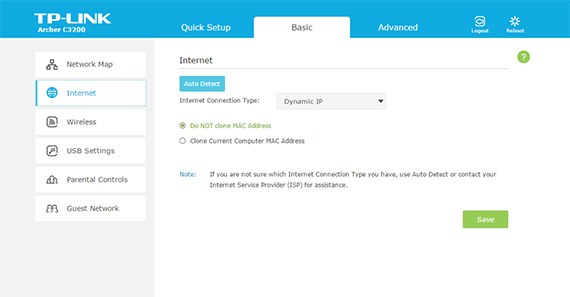 The setup process of the TP-Link AC3200 is simple and straight-forward (just like with most other routers on the market) and all you have to do is open the web-based utility (by navigating to either https://tplinkwifi.net or https://192.168.0.1), enter admin for both user name and password when prompted to do so, create a new user name and password and let the Quick Setup Wizard guide through setting up the Internet connection: choose the Region and Time Zone, the connection type (choose Auto detect or select one from the list – can be Dynamic IP, Static IP, PPPoE, L2TP or PPTP), decide if you want to close the MAC address, set the SSIDs and passwords for the three bands and lastly, you can Test the Internet Connection to make sure everything works fine. 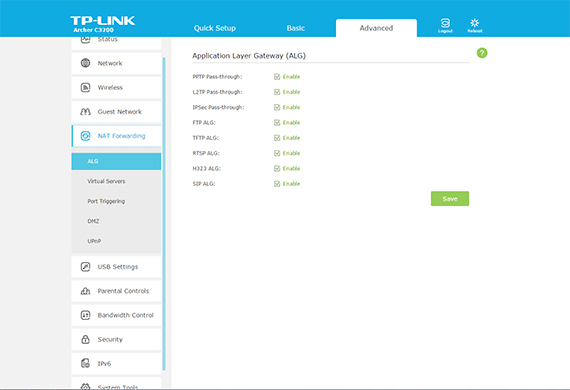 That’s it, you can now do a more in-depth configuration of your network by further navigating the interface. The main page of the UI is divided into three sections, the first allows you to perform the Quick Setup (if you need to make any changes), the second gives you access to the Basic settings and the third to the Advanced settings. The Basic tab summons the following options on the left of the page: the Network Map (a graphical representation of your network, showing all the connected clients, as well as the status of the Internet), the Internet (similarly to the Quick Setup process, you can choose the Internet Connection Type and if you want to clone the MAC address), the Wireless settings (here, you can change the SSID and password of any radio band), the USB Settings (Sharing Access and Print Server), the Parental Controls (you can add devices to the time schedule list and create blacklists or whitelists for certain keywords) and the Guest Network (you can create SSIDs and passwords for the guest networks and allow guests to see each other). As a side note, it can be a bit annoying that you can’t choose specific devices to be affected by the keyword blacklist (every device receives the same treatment). The Advanced Settings has the following options: Status (displays the status of the Internet, both the IPv4 and IPv6 connection, the status of the Wireless networks, the LAN connections and the Guest Networks), Network (Internet Settings, LAN Settings, IPTV, DHCP Server – Client List, Address Reservation and Condition Pool -, Dynamic DNS, Advanced Routing -Static Routing and System Routing Table- and IPSec VPN), Wireless (Wireless Settings, WPS, MAC Filtering, Wireless Schedule and Statistics), Guest Network, NAT Forwarding (Application Layer Gateway, Virtual Servers, Port Triggering, DMZ and UPnP), USB Settings, Parental Controls, Bandwidth Control (here, you can create Controlling Rules using the IP range, port range and protocol, create upstream and downstream limits and set the priority), Security (SPI Firewall, DoS Protection, Access Control and IP & MAC Binding), IPv6 and System Tools (Time Settings, Diagnostics, Firmware Upgrade, Backup & Restore, Administration, System Log, SNMP Settings, Statistics and System Parameters). Note: I could not find any Access Point Mode or any Bridge Mode available. 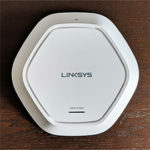 It is clear that the AC3200 class is the new AC1900 and the TP-Link AC3200 Archer C3200 is proof of this, featuring comparable wireless link rates, but with an additional 5GHz radio band to create a more stable network and to allow more wireless devices to be connected. 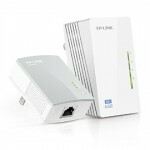 Besides that, the price gap is getting smaller and smaller everyday between the two classes of routers. That being said, the Archer C3200 is not the fastest among the tri-band routers, but it does offer a reasonable wireless performance, an easy-to use interface and an interesting design. 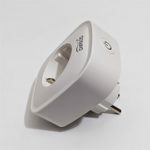 MBReviews is a participant in the Amazon Services LLC Associates Program, an affiliate advertising program designed to provide a means for sites to earn advertising fees by advertising and linking MBReviews.com to amazon.com, or endless.com, MYHABIT.com, SmallParts.com, or AmazonWireless.com.